New maps for Epcot, Disney's Animal Kingdom Theme Park, and Disney's Hollywood Studios will soon be available around the Walt Disney World Resort. 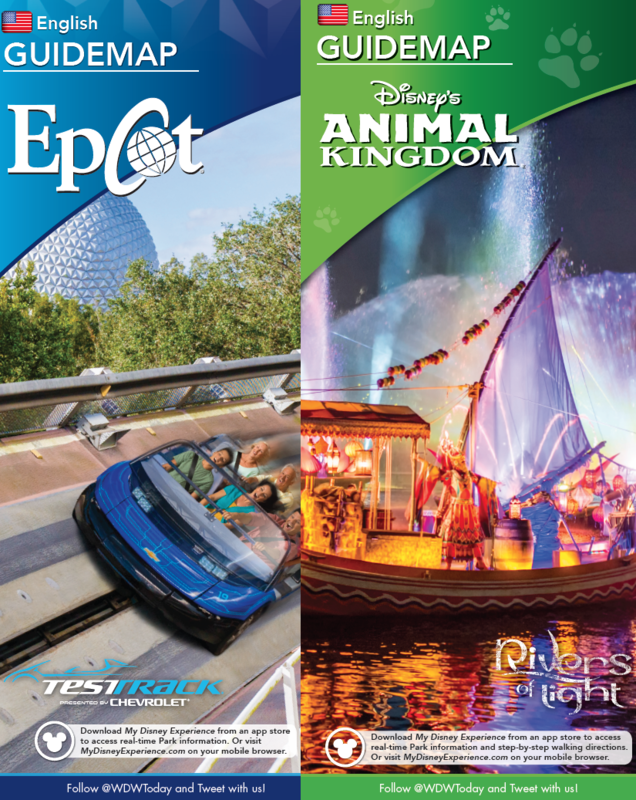 Starting Tuesday, Feb. 21, Epcot guidemaps will feature Test Track on the cover again. On Sunday, Feb. 26, both Disney's Animal Kingdom Theme Park and Disney's Hollywood Studios will debut new guidemaps. The map for Animal Kingdom will feature Rivers of Light on the cover, while the Hollywood Studios map will feature a a Stormtrooper on the cover. The English maps, all five translations, and the Guides for Guests with Disabilities will all be updated. PARK MAPS: © 2017 Walt Disney World Resort. All Rights Reserved.